Maruti Suzuki showcased their Made in India concept small MPV car called the Maruti R3 or R-III in the Auto Expo 2010 in Delhi in January 2010. Since then, the work is in progress to convert that concept vehicle into a production vehicle which is built right and priced right for Indian automobile market. 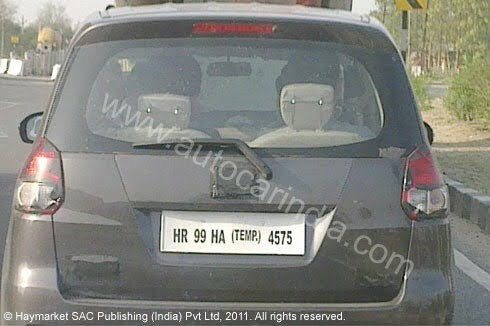 Finally the Maruti R3 MPV seems to be taking shape of a production car with time. 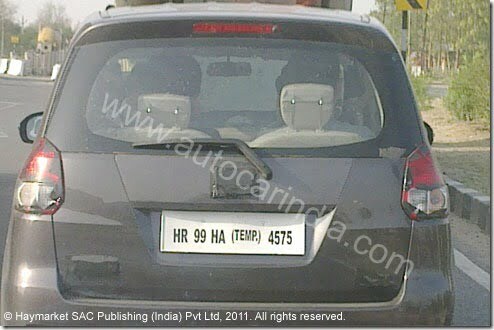 Speculation is that the R3 will be launched by end of year 2011 or early 2012. 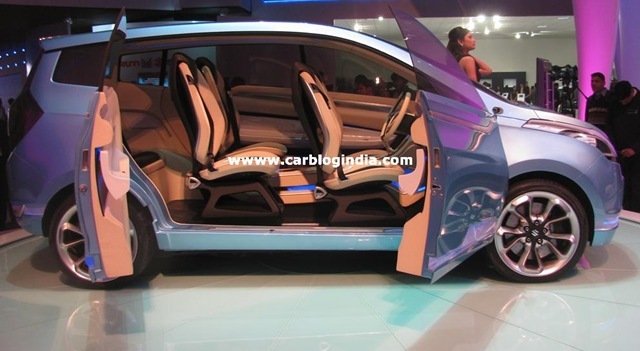 The concept car which Maruti displayed at the Auto Expo was a 3 row 7 seater small car with modern technology and high comfort. 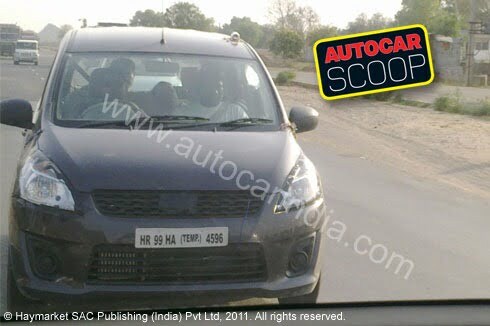 The spy pictures of the real car look quite different in terms of quality, which is expected as concept cars do undergo lot of changes before they make it to production vehicle. It’s a ZDI variants which means that the R3 will be available with the CRDI Diesel engine which maybe same 1.3 Litre engine which powers the Maruti SX4 Diesel. The R3 MPV will be a strong competition to popular MPVs like the Mahindra Xylo and Toyota Innova which are among the top choices in MPV in India. Also the pricing of the Maruti R3 will also be a deciding factor as Maruti is known to offer its cars at very aggressive price points compared to the competing brands. We will keep an eye on the same and will update you when any developments happen. Stay tuned by liking our official Facebook Page or you can also sign up for our free email newsletter to stay updated. Three more spy pictures have been released by AutoCarIndia of the Maruti MPV testing in Rajasthan. Seems like they are doing a real road test in hot weather. 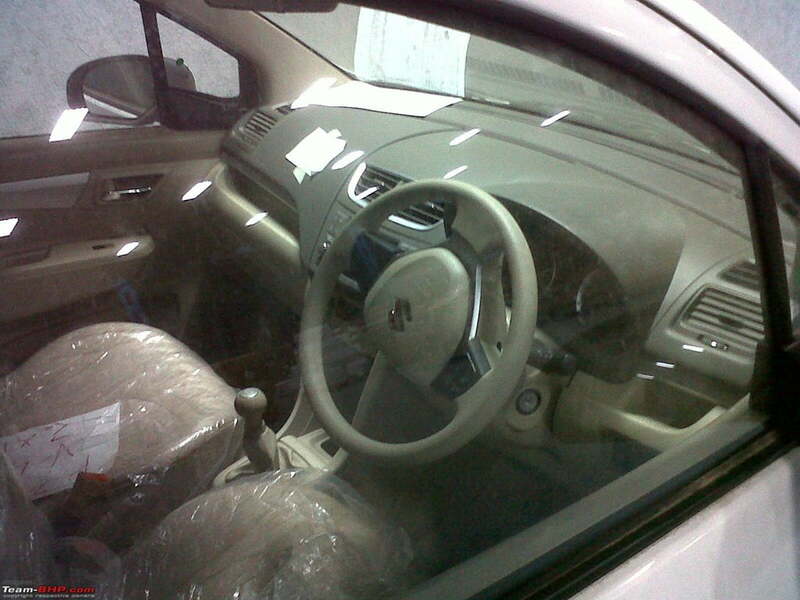 The pictures suggest that the car has 6 Adult passengers sitting in the car on a hot sunny day. 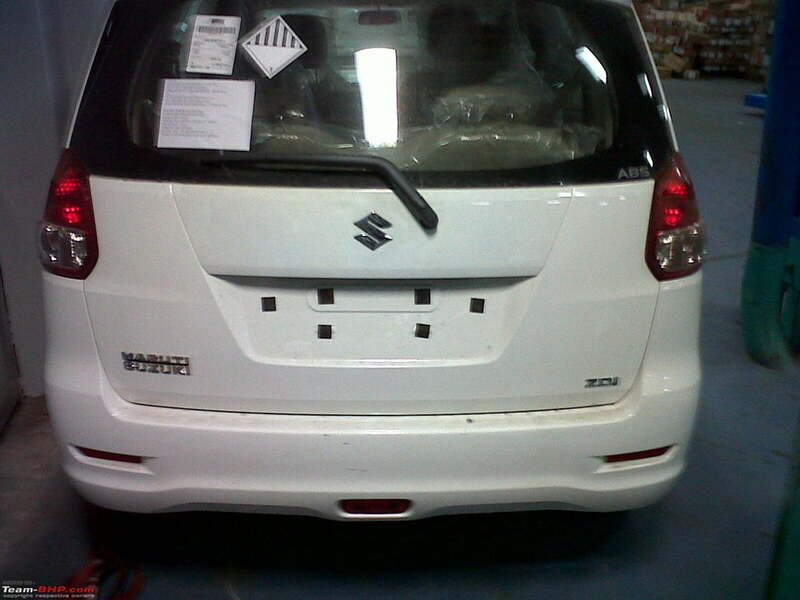 The front grille is divided into two section and the headlamps are somewhat similar to swift in a wraparound fashion. 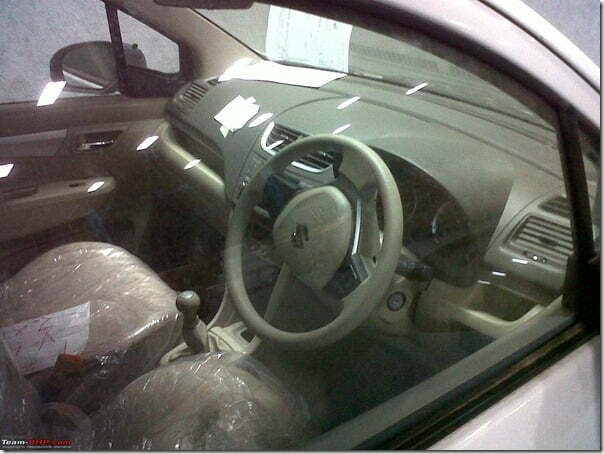 Also the windshield is large with a good view of road with high ride height. There are three rows of seats with two seats on each row. The front fascia is almost as steep as the Maruti Ritz and it seems to be based on a stretched Ritz platform. The license plate is mounted on the hatch above the bumper and the width of the car is not very large to make it compact to maneuver it well in the congested traffic situation. 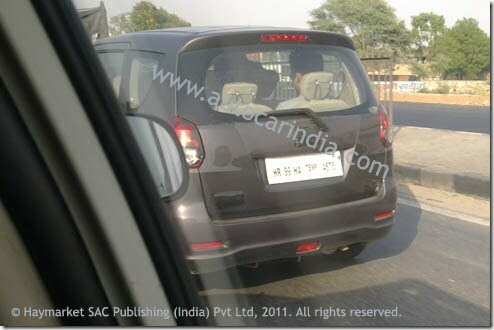 The side view of the car is not so clear in these pictures, so the side profile can not be described precisely, but looking at the interiors, it seems highly inspired by the new Maruti Swift 2011 in steering, dashboard, gear know, door trims and seats design etc..